What price Climate Change? Before Stern and Garnaut there was Pearce. Chapter 6 of the IPCC Working Group III 2nd Assessment by David Pearce et al is now forgotten, yet it caused the first public controversy in the history of the IPCC. This chaotic assessment of scant and confused costings of expected damages was under attack before it was even drafted. The ensuing scandal over the price of life among the world’s poor dragged the IPCC into an embarrassing political controversy that broke at the very first Conference of Parties to the climate treaty. 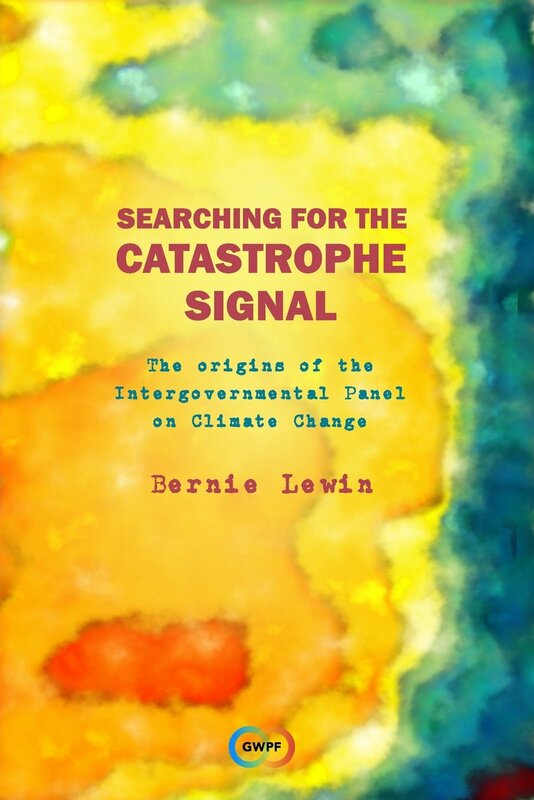 It was a taste of things to come, with authors simultaneously publishing what they assessed, leaking drafts, and pressure at the intergovernmental Plenary to change the chapter in conformity to a re-write of the Policymaker’s Summary. But there were important differences also. While later in Madrid Ben Santer was entirely complicit in the push to change his Working Group I Chapter 8, David Pearce and his crew held their ground against the onslaught in workshops, plenaries and finally through the press. Indeed, the authors won the battle for scientific independence, but at what price? then I thought I was fighting to save the Amazon rainforest. Now I realise I am fighting for humanity. Chico Mendes. That man is a good place to start. Or at least, his death. Gunned down in his home out in the wild west, almost as far west as you can go into Brazilian Amazonia. Barefoot and illiterate, growing up into colonial serfdom, it was all Chico knew since before he was ten years old to be out in the rainforest tapping the rubber trees. But when news of Chico’s death reached a certain violinist in London, it would turn his life around and launched him on a collision course with IPCC Working Group III. The onslaught against the Working Group began in 1993 and continued through the next two years as the co-chairman, Jim Bruce, tried and tried again to get the Second Assessment Report over the line. He nearly didn’t make it. Protests against the method of costing the damages of climate change in this Report’s Chapter 6—where the death of the world’s poor is valued much less than the death of the rich—turned a large grouping of poor nation delegates against the Report, against the authors, and against the rich nations from whence they came. A wedge driven deep in the fault line already opening between rich and poor nations at the climate treaty talks, the Price of Life Controversy was orchestrated by one man, our violinist, Aubrey Meyer. This unlikely course of events began back in 1988 when Meyer was seeking a theme for a new musical. He could hardly have missed the reports of Chico’s bloody demise as they came through on the eve of Christmas. At the end of a year when global environmentalism broke into the mainstream as never before, the news was everywhere; for this humble rubber tapper, born a nobody, died famous, world famous. What began with a determination to preserve the livelihood of the local tappers, by 1985 had converged with the global campaign to preserve the entire Amazon. Advocating the sustainable development of the forest that sustained them, the united rubber tappers of Brazil formed under Chico’s leadership to become the cause célèbre of the global environmental campaign to preserve not only the Amazon but threatened rainforests everywhere. The rise and demise of Chico Mendes captured the imagination of the entire movement – a martyr to environmentalism immortalised in prose, film and song. Indeed, this Amazonian tragedy held Aubrey Meyer captive that Christmas, but there never was a Chico Mendes musical. Instead, the tapper’s story sparked the musician’s epiphany, launching his life in an entirely new direction. Anyone who has ever heard Meyer speak will tell you that the passion for music never left him. But soon Meyer began to discover new talents, acknowledged by friend and foe, as he threw himself into the services of Chico’s cause—a cause that is as much about defending the global environment as it is about defending the rights of the poor. When Meyer’s own brand of activism arrived at the climate talks, it was seen to be threatening what others saw as the greater purpose—a general agreement for action on climate change. His aggravation of this rich-poor split seemed to delight parts of the business lobby as much as it frustrated the environmental establishment. Most of all, Meyer’s intervention exasperated the expert economists drafting Chapter 6. As we shall see, the dispute was never really resolved. When the controversy was over and the Report published, David Pearce, the coordinating lead author, remained insulted and perplexed that their expert assessment could be called into question by the government delegations due to the confused and spurious reasoning of this enthusiastic outsider with his ‘silly campaign of misinformation and abuse.’ In fact, to his dying day, Pearce remained convinced not only that Meyer served the interests of the coal lobby, but that they were funding the whole absurd charade.